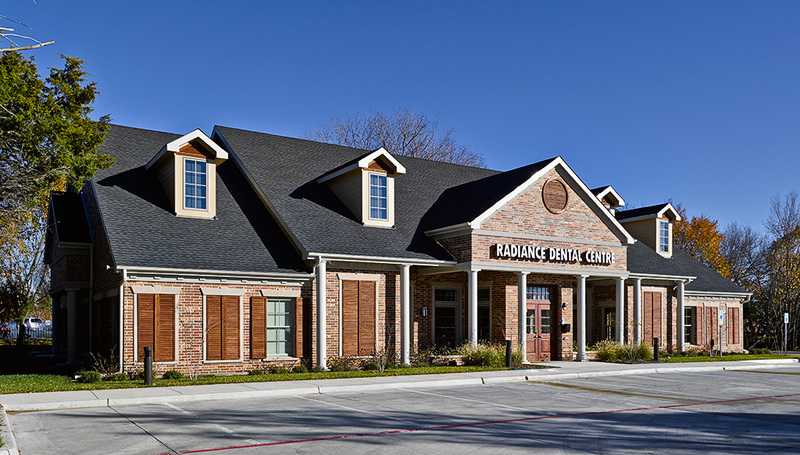 This 3800 square foot ground up building was built in 2014 for Dr. Bridget McAnthony’s pediatric dental practice. The building features a 14:12 roof, towers and a full masonry veneer. The interior features an open bay with a suspended spoke system for mounting track lighting in a high ceiling area. designed by M.J. Wright & Associates, inc.
interior planning and equipment by Henry Schein Dental. 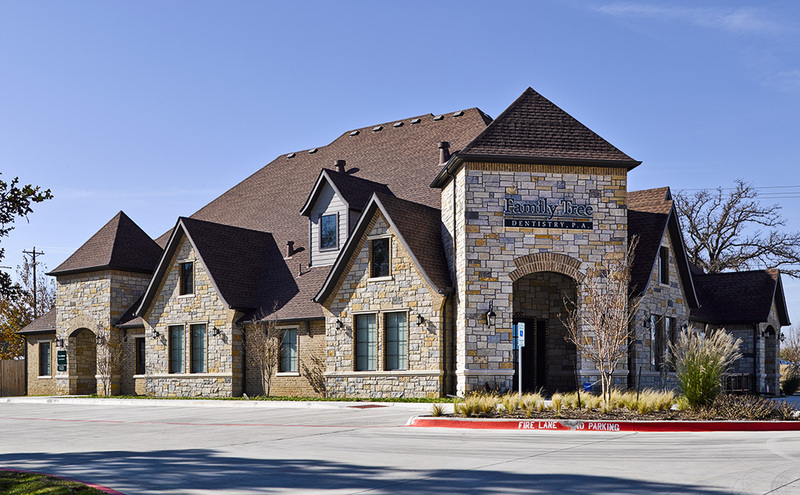 “Thank you very much for your professionalism in the construction of my dental office. You guys made the construction process less stressful. I highly recommend Structures and Interiors to any professional looking for quality office construction.